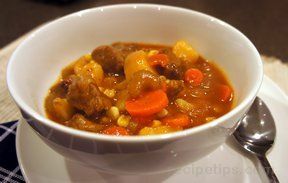 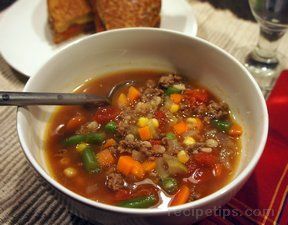 Ground beef make this vegetable soup easy enough for a weeknight but with all the flavor that its been simmering all day long. 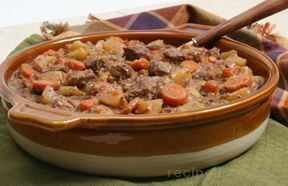 Use any vegetables you favor. 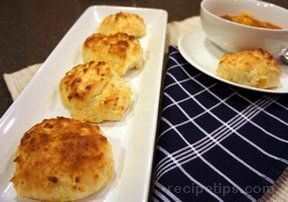 Serve it with some warm crusty bread to dunk into the broth.